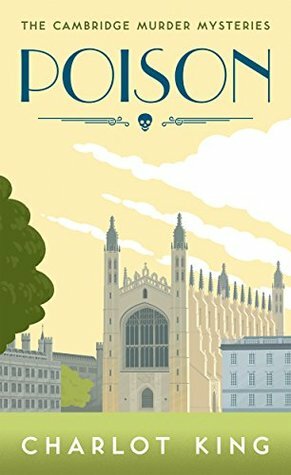 Charlot King’s new Cambridge Murder Mysteries debuts with Poison. Bringing her personal knowledge of Cambridge, its colleges, and environs, written in present tense, with a prodigious use of commas, this delightful first in a series proves to be one readers will enjoy. King’s sense of Cambridge as a setting brings it to life under her talented pen–she also takes lovely photos of the area she posts on Twitter, and has an artistic eye. Readers will feel they’ve been there, walking through the colleges, punting on the Cam, and following Dr Elizabeth Green as she solves a murder of a colleague who lands right at the end of her garden. A specialist in plants and their poisons, King has done exhaustive research to show Green’s expertise and it shows. Still grieving over the loss of her husband, Green teams with Inspector Abely, the golf-playing detective who admires her and whom she’s helped previously. 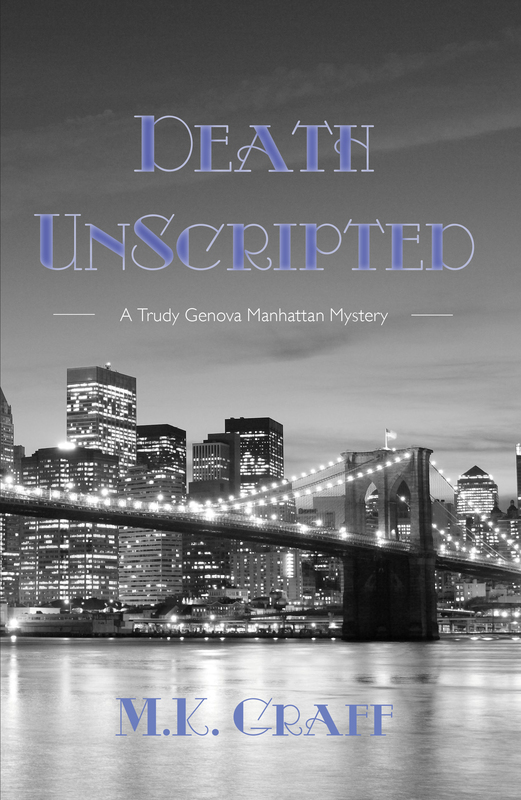 Aided by her grandson, living with her for the term, they will sleuth out the murderer from amongst the victim’s family and close friends. Auntie M: Your debut mystery, Poison, introduces Professor Elizabeth Green. What made you decide on this particular person to be your protagonist, as your research is meticulous on her plants/poisons knowledge? Charlot King: Thank you. It’s a really interesting question, how characters develop. For me Professor Elizabeth Green just came to me, like I’d known her all my life (that doesn’t often happen). I wanted to write about a woman who on some level is invisible, who has been sidelined, or who society categorises as an irritant. When women hit their forties, fifties I think this happens all too frequently. They become invisible in stories too, a lot. I like the writer Nancy Meyers in the states, who is bringing back this age group into the movies – with ‘Somethings Gotta Give’ and ‘It’s Complicated’. It’s not just women she writes about, older men too (in ‘The Intern’). They get written off, when they’ve still got a lot to give. Anyway, I’m talking about the movies when I should be talking about books (!). I guess I am interested in those women and how they deal with the society that does that. After all, she (Elizabeth) was a little girl once too, a young woman, someone’s wife, someone’s mother. Women do so much and yet society finds it harder to applaud them for their achievements. Elizabeth’s flaw is that she is strong, very strong. What’s wrong in that? That makes her annoying by society’s standards. It makes her a closed book, and an island. Not the vulnerable woman, not deferential or ‘ladylike’. I wanted to read more of that, so I wrote it (I guess that’s what writers do)… As for the research, I bought books on poisons. It was a lot of fun, and I learned a lot. My oh my, it’s easy. I did wonder if anyone looked at my online search history and purchases whether they might think I was trying to bump someone off. But Poison is a work of fiction, not a reference book of accuracy or to give anyone ideas. AM: Elizabeth is aided by her grandson. How did you decide to have Godric be involved? I thought him a bit like Bertie Wooster. Since Elizabeth’s cat is named Bertie, I’m assuming you’re a Wodehouse fan, too? CK: I am a huge Wodehouse fan, huge, and yes you are right the cat is named Bertie because of that. Ha ha. I once stayed in Tuscany for a month and it was early spring and quite cold when we woke up. In the mornings I would lay in bed waiting for the sun to heat up the day, and I would read Wodehouse. I must have read them all. And I was completely in love with Bertie Wooster by the end of it. His enthusiasm, optimism and just irrepressible jollity, well, it is intoxicating. I didn’t deliberately think of Bertie for Godric. I guess they are not totally dissimilar. Godric is posh, a buffoon, and by his very nature he always gets into scrapes. But he’s different in that he’s also a bit of a chip off his nanna. Ultimately he’s much smarter than Wooster. What I find enjoyable to write about Godric is his air of mischief and play. And I wanted to bring Godric into Elizabeth’s life as ultimately – although she’d never admit it – she’s alone right now and at a low ebb after losing her husband. So Godric is the joy in her heart and her life. Perhaps he’s what saves her. AM: Then there’s Cambridge detective Inspector Abley. He admires Elizabeth, but is frustrated by her, too, although her involvement gets him to the golf course faster. Does he continue in the series as her police link? CK: Yes, he’s in all the books. He was the person who first asked Elizabeth to help the police force, and he’s been leaning on her ever since. Not because he’s a bad policeman, just because she’s of a superior intelligence. He’s a man of honour, who is loyal to his friends, who has a warm demeanour (cuddly jumpers and a kind heart). It’s true, he’s not always great at his job – and I’m sure in the real world he wouldn’t last in the force – but then I’m writing fiction. When Elizabeth’s husband dies, to a certain extent Abley fills a little of his shoes for her. He’s her rock, or most of the time. He is dependable, he cares about Elizabeth and is one of the few who understands her and sees beneath her hard exterior. She doesn’t need him as she doesn’t need anyone, but he makes her life better than it would be without him. AM: Elizabeth’s husband has died in an accident. Will that be an issue down the road or remain part of her backstory? CK: That would be telling . . .
AM: Poison really brings Cambridge alive. The town and the colleges spring to life. I have friends who live there, but have only visited them for a day, and need to go back. What’s it like to live there? CK: I lived in Cambridge through a lot of my twenties, and there was something about it that stuck with me after I’d moved away. I think places do that to people. We all travel more these days, but places still have a huge effect on us. Yes, I found myself at a crossroads in my life and it wasn’t hard to decide where to move back to when I needed to escape and feel free again. I feel like I’m on holiday all the time in Cambridge and it suits me living in the centre, as the river runs through it, there are commons (large expanses of fields often with cattle), so although you can pop to the cinema or restaurant with your friends you only have to turn and walk the other way and you can feel like you are in the countryside. Well, you are in a way. I mean if you walk to Fen Ditton or to Grantchester. And these places just outside the centre feel like villages from the old days to me. So much has been done in Cambridge to preserve the best of the city. And of course then there is the university, which oozes culture. I have met so many interesting people here. I can’t imagine living anywhere else. It’s in my veins. AM: Your photography showcases some of the best of Cambridge. Is that a new interest for you? CK: Ah, I like walking and I am lucky enough to live somewhere where around almost every corner there is something beautiful. So I just snap things, nothing more. I’m no photographer, I just use an old phone. Cambridge does the rest. You really don’t need any talent to take a beautiful picture here. They are to share with people who feel the same way about Cambridge as I do. We do have quite good weather in Cambridge – as it is on the drier side of the country, and often sunny so we are lucky for that too. A: Your second in the series, Cursed, is out in the US in Kindle now. 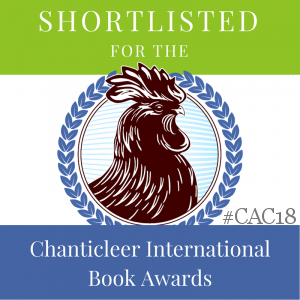 Can you give readers a tickler to interest them? CK: I’d say read Poison first, as they are in order. 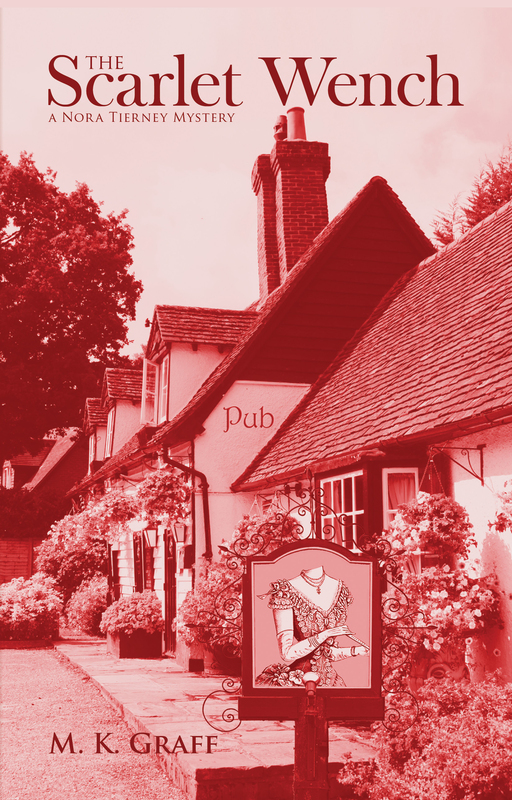 But if you fancy reading on, and have already tried the first book, then Cursed will take you on another journey through Cambridge with the three key characters – Elizabeth, Inspector Abley and Godric. You will get to know them more and hopefully like them more. As for the plot, I don’t want to say much, but a tease would be that a porter dies in College in suspicious circumstances. Inspector Abley is not on the ball with the case, and Elizabeth steps in to help find out what’s happened. So she starts to lead the investigation. As curses, death threats and other witchy goings on are left at the Porters’ Lodge, Elizabeth is left wondering if it’s an inside job. But at the same time a very important stone has gone missing at another College. The story is set right in the heart of university life, with students and professors caught up in it, alongside townsfolk. Everything starts to unravel, as Abley isn’t helping and Sergeant Lemon struggles. Will Elizabeth be able to find out the truth before more are dead? If you like puzzles and Cambridge, then hopefully you might enjoy reading the book. AM: Why do you write mysteries vs another genre? Who were your influences in crime writing? 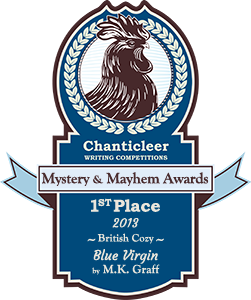 CK: I have always been drawn to books by people like Agatha Christie, Colin Dexter, Raymond Chandler, the whodunnit authors have always appealed. I’m fascinated by that stereotypical British under reaction, too. Someone’s been murdered, so let’s have a cup of tea. We are taught not to reveal our feelings when catastrophes happen. And to a certain extent, we also have that Dunkirk spirit, and almost a black comedy about us. So when you have a murder and people react that way, then the story becomes all about the puzzles and the clues. I like reading stuff like that. I’m currently writing a fiction book about dogs, departing entirely from the Cambridge Murder Mysteries for a short break. But will be back to write Book 3 soon, as I’ve already plotted it out. I just need to sit down and write. AM: Who’s books are on your nightstand, waiting to be read? CK: I read a lot of autobiographies, mainly by comedians. I think often comics are the most brutally honest about themselves and about the human condition. They hold up a mirror and tell us the truth. There is often a lot of tragedy in there, too, and the juxtaposition often makes for an interesting read. I finished Paul Merton’s book recently. At the moment I’m also reading the Old English Training Guide (!) as we have just been joined in the family by an Old English Sheepdog puppy, who recently chewed my glasses (good job they’re not reading glasses). In terms of crime, I’m about to start reading P.D. James The Lighthouse. Not sure why I’ve never read it before. But it’s queued up and I’m looking forward to that. And I’m sure Charlot King will enjoy the James as much as readers will enjoy Poison and Cambridge.